Gordon & MacPhail has launched Speyside Collection, featuring six single malts from some of Scotland's most notable distilleries. Established in 1895, the fourth-generation family business is custodian to some of the world’s oldest and most unique single malt Scotch whiskies. The Speyside Collection brings together 329 years of knowledge, expertise and whisky maturation. 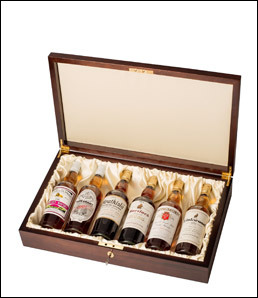 The first release, limited-edition, Speyside Collection hosts a range of flavour profiles, from Gordon & MacPhail Smith’s Glenlivet 1948, to Glen Grant 1949, and Strathisla 1953. Showcasing whiskies from across the region, the Speyside Collection also offers Gordon & MacPhail Mortlach 1954, the award winning Longmorn 1967, and Linkwood 1972.